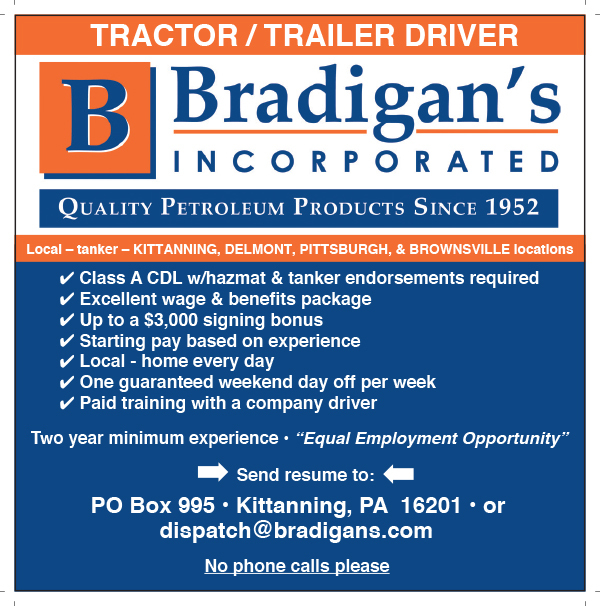 Motor Fuels - Bradigan's Inc. In 1985, Bradigan’s Incorporated recognized the demand for additional transportation services for bulk petroleum products. It expanded its fleet and, under the operating authority of an east coast transportation company, Penn Tank Lines, Inc., it began supplying transportation services to a variety of companies in Western Pennsylvania, Eastern Ohio, Northern West Virginia, Northern Maryland, and some destination points beyond. In 1998, the Commonwealth of Pennsylvania deregulated the trucking industry. 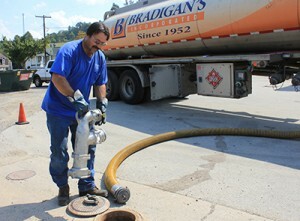 The deregulation made it possible for Bradigan’s Incorporated to establish its own operating authority that now operates within a 125-mile radius of greater Pittsburgh. Since 1985, the transportation services has successfully grown its fleet to over 14 tractors and tankers by providing exceptional service to its customers and offering caring support to its staff of over 21 qualified, experienced, and courteous drivers. Bradigan’s Incorporated offers competitive freight rates. 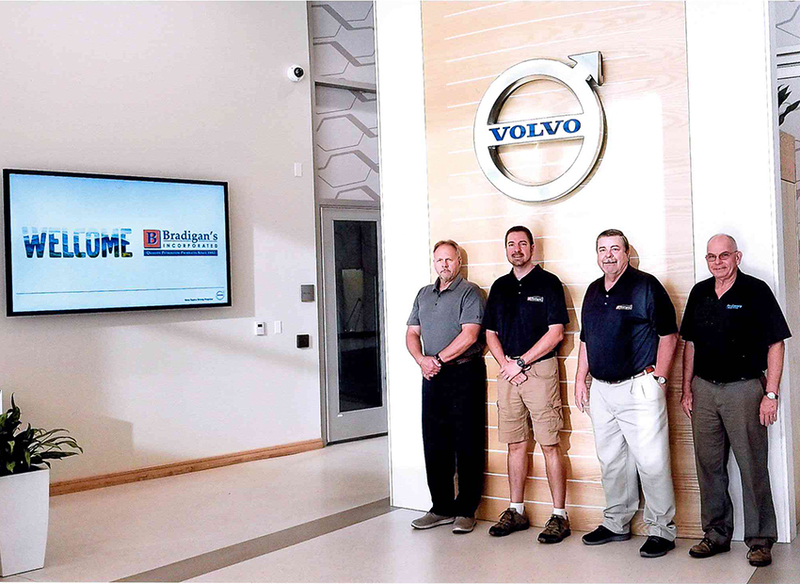 Bradigan’s was welcomed at the Volvo Truck Assembly Plant in Dublin Virginia on August 29 & 30. Paul & Andy Bradigan, Keith Bowser, Bradigan’s Transportation Division Manager and Keith Ferguson, Sales Manager at Tri-County Truck Sales toured the facility and had the chance to experience the test track. Goran Nyberg, President of Volvo Trucks feels the track will become a valuable tool for fleet managers to evaluate equipment. 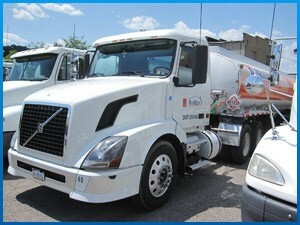 Volvo supplies trucks to the US, Canada, & Mexico. 80% of the materials used to manufacturer the trucks are made in the USA. Bradigan’s owns and maintains highly technical software that provides important data regarding the level of customer’s gasoline, diesel, and kerosene inventories. A vast majority of Bradigan’s customers rely on Bradigan’s to monitor inventories and dispatch deliveries when the customer’s inventories reach low levels. Bradigan’s SAFEGARD Inventory Management Control Service provides precise and accurate “just-in-time” deliveries. This service is a win-win. Bradigan’s dispatches its trucks and delivers more efficiently, and Bradigan’s customers enjoy ample inventories without the hassle of phone calls and tracking inventory management levels. Service area includes Western Pennsylvania, Eastern Ohio and the West Virginia panhandle.